Since making the move to Oldmeldrum in Aberdeenshire, Jennie Chalmers has been using her creative flair to direct shows, rather than perform in them. 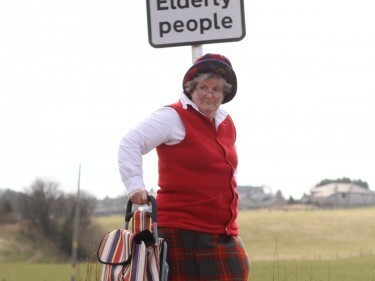 But this month, she will take to the stage at the Edinburgh Fringe to showcase her comic brainchild, Myrtle Throgmorton. “The character has been with me for a long time,” said Jennie, who has spent much of her career in the production industry. 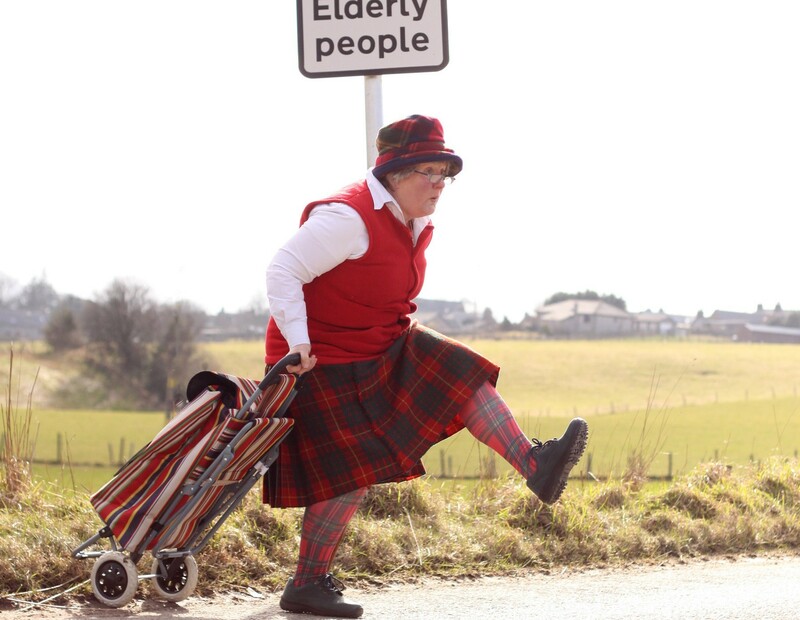 Myrtle, who actually hails from Surrey in England, is described by the wife and mother-of-two as a “certified old trout” who loves to discuss everything from politics to pimping out Zimmer frames. The north-east crew, which comprises of dancer Gordon Raeburn, 23, from Huntly, and 21-year-old pianist Sam Williams and technician Kieran Booth, who both hail from Barthol Chapel, will take to the stage daily at the festival under the direction of David Jackson Young. “Our director breaks the mould as he’s actually from the Borders. “He’s currently getting us into shape and we’ve been rehearsing together for the last few weeks. “One of the things I worry about is the time we have to prepare the stage. 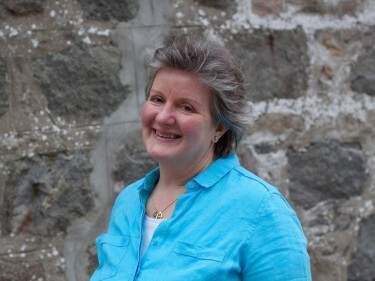 Jennie, who grew up in Belfast and moved to Aberdeenshire 25 years ago, has spent much of her life in the production industry and her varied career has taken her to the BBC, where she put together radio programmes including Week Ending and The News Quiz, and she’s certainly no stranger to the Fringe. Having spent time scouting the annual event for hungry new talent in the 80s, she came across the likes of Rory Bremner, Paul Merton and Helen Lederer. On moving to Scotland, she worked as a radio presenter and also taught drama to children and directed shows with the Meldrum Musical Society. 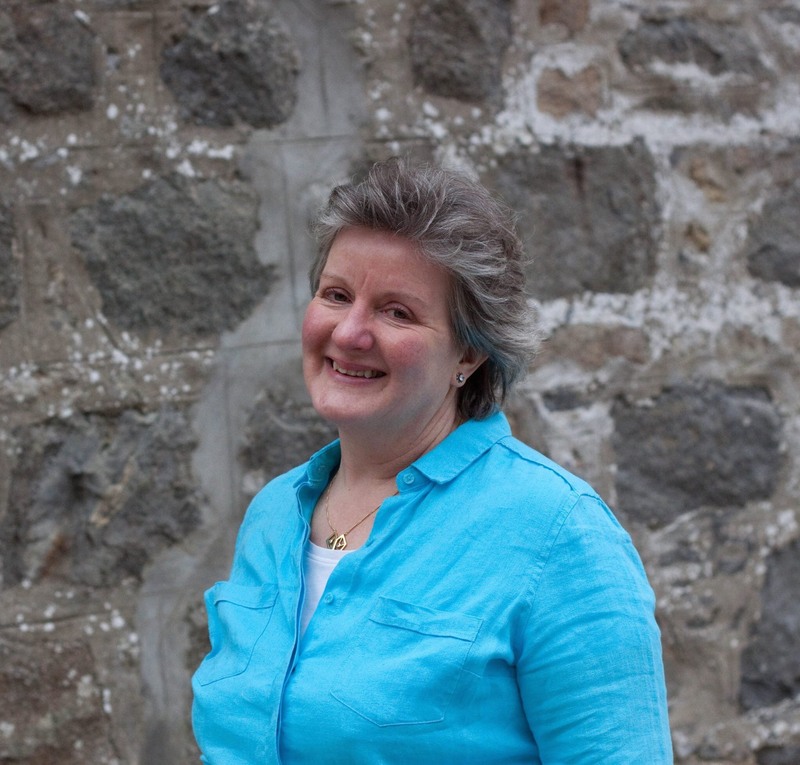 “When I moved to Aberdeenshire, where my husband is from, I mostly directed and taught in the industry, instead of performing. “The thing is, if you start directing, it’s difficult to perform, so I’m really excited to be performing again. “It will be quite intensive though, we’re performing throughout the whole festival with just two Sundays off. Jennie said she has taken on the venture in celebration of her 60th year. “I’ve decided to challenge myself with this project and it’s been really interesting. “I began getting the logistics of the show together in November before looking for the rest of the cast. “Sam I had known all my life, but Gordon I’d never met before. The show is to be a mix of Myrtle’s musings and her comedy “ABC” – audience, banter, crudités. With original music from Sam, every show ends with a “surprise” guest joining Myrtle for a cheery chat over the tea trolley. The audience, and sometimes even the main event herself, is completely unaware who the guest will be – a truly potluck surprise. 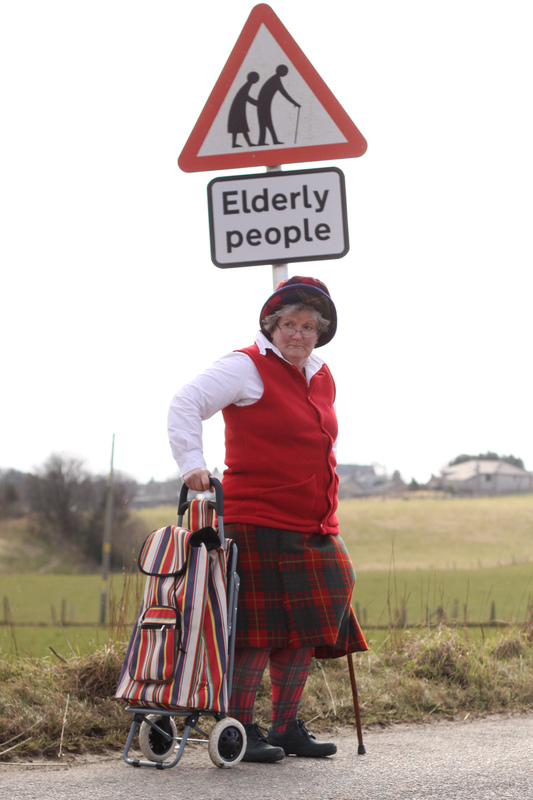 Myrtle Throgmorton, Ancient Heckler takes place at the Fringe from August 7-29. And if you can’t make it down, catch her antics during the Haddo Arts Festival on Wednesday, October 7. Visit www.myrtleproductions.com for more information.